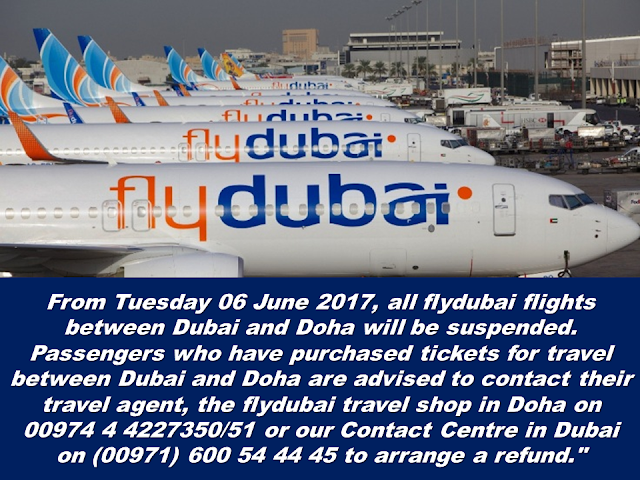 After other GCC countries withdraw diplomatic ties with Qatar, the huge airline from UAE, Etihad Airways said the will suspend all flights to and from Qatari soil. 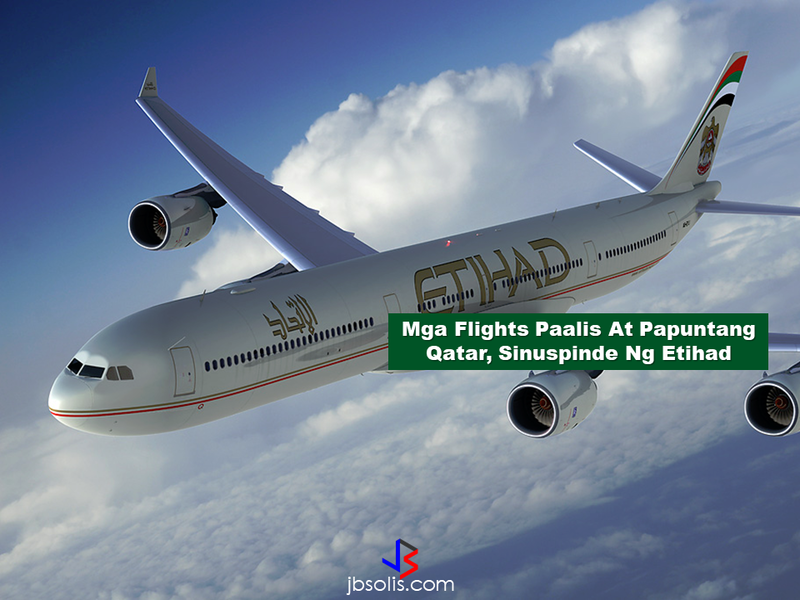 Etihad Airways spokesman says they will suspend flights to and from Qatar from Tuesday morning in the light of Saudi Arabia, the UAE, Bahrain and Egypt's cutting off diplomatic ties with Qatar on Monday. 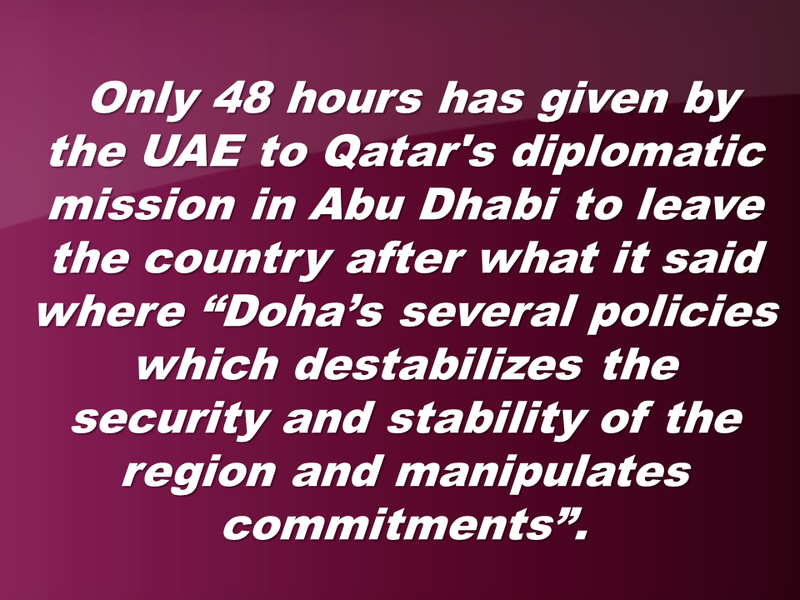 Qatar's diplomatic mission has to leave Abu Dhabi in 48 hours. Qatari citizens has been given only 14 days to leave the UAE. 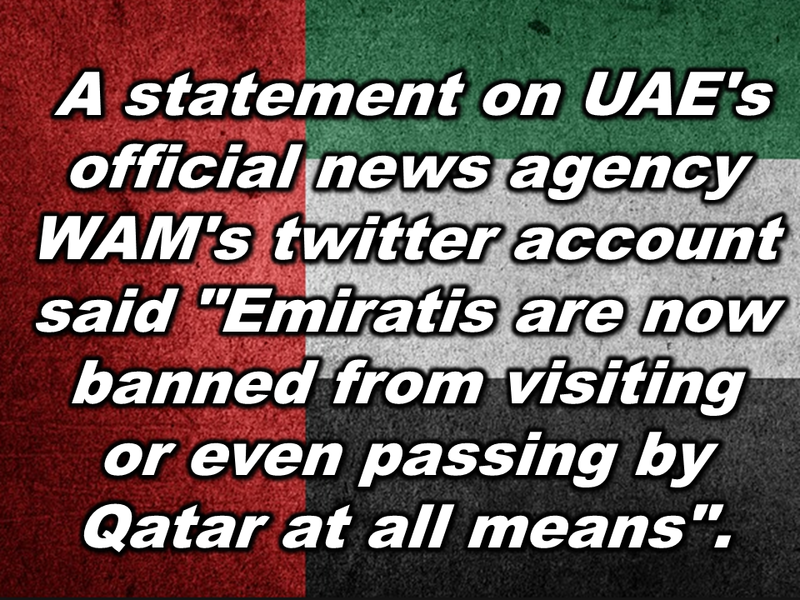 They are also banned "even passing through the UAE". 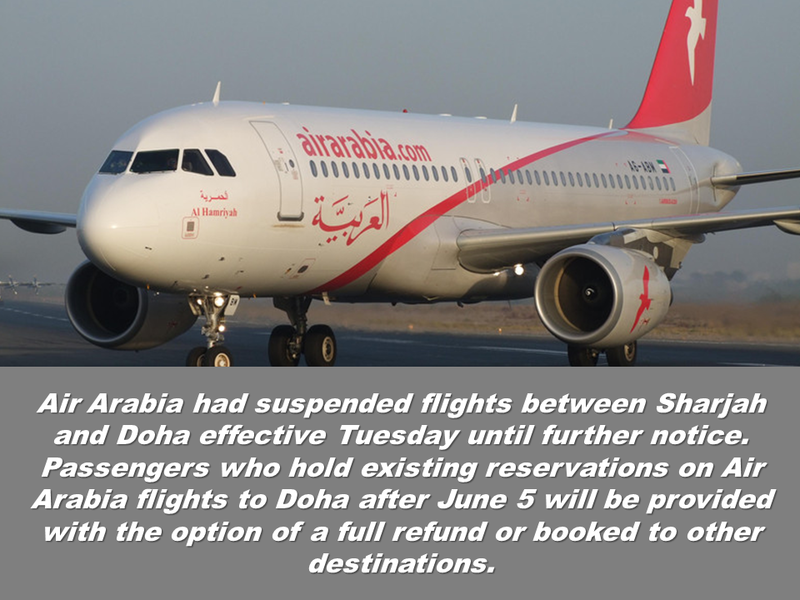 Meanwhile, Saudi football club Al Ahli terminated a sponsorship deal with Qatar Airways , after Riyadh severed its diplomatic ties with Doha on Monday morning. Al Ahli FC on its Twitter account, announced that it terminated the sponsorship deal following guidelines from the Saudi government. Air arabia Flights to Doha is also being suspended. 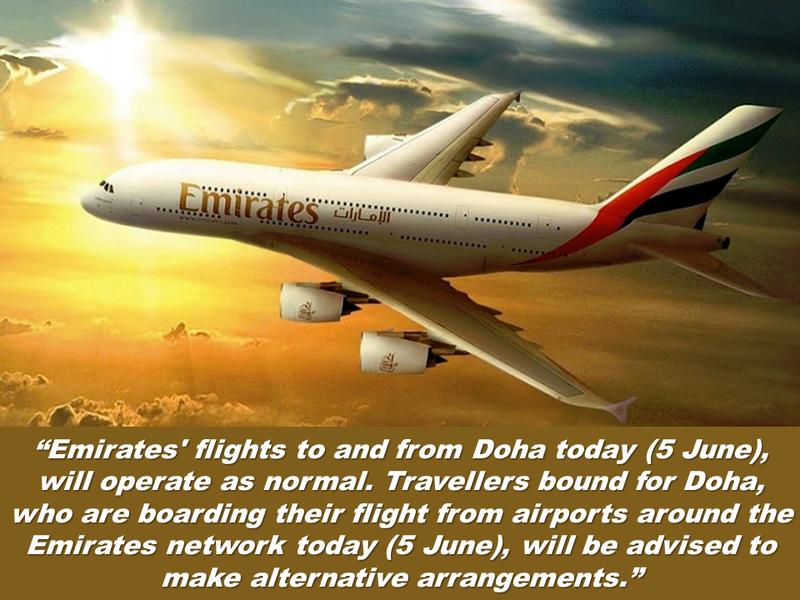 "All customers booked on Emirates' flights to and from Doha will be provided with alternative options, including full refunds on unused tickets and free rebooking to the nearest alternate Emirates destinations. For more information, customers can call the Emirates Contact Centre on 600 555555, or visit? www.emirates.com. We apologise for the inconvenience caused to our customers." Earlier today, Saudi Arabia, UAE, Bahrain and Egypt severed diplomatic ties and all land sea and air contacts with Qatar,Due to its alleged support on terrorism and interfering in their internal affairs. 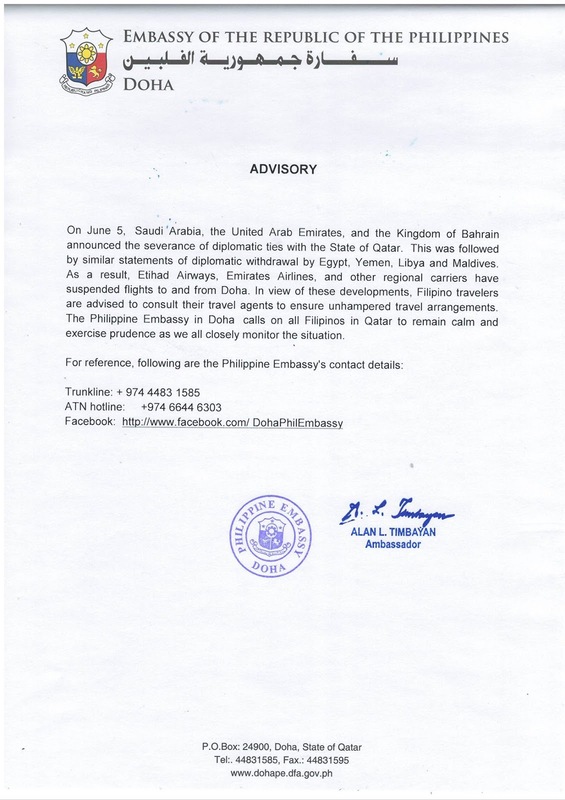 Meanwhile, the Philippine Embassy in Qatar has released an advisory to all Filipinos in the light of other GCC Countries severance of diplomatic ties to Qatar, advising them to remain calm as they closely monitor the situation. 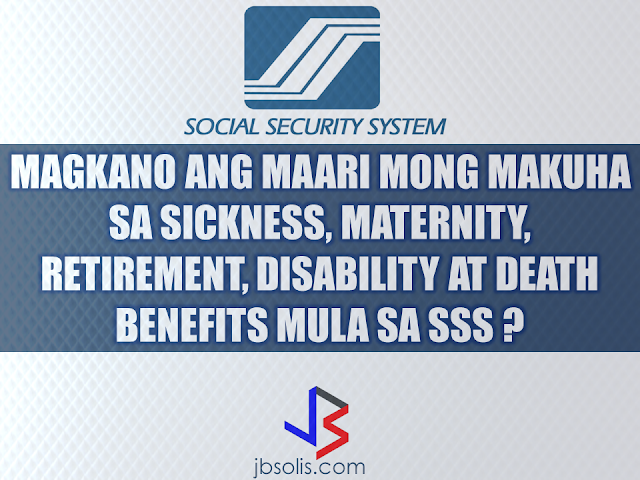 HowMuch Money Can You Benefit From SSS During Sickness, Maternity, Disability,Death And Retirement?